It’s Game Day! 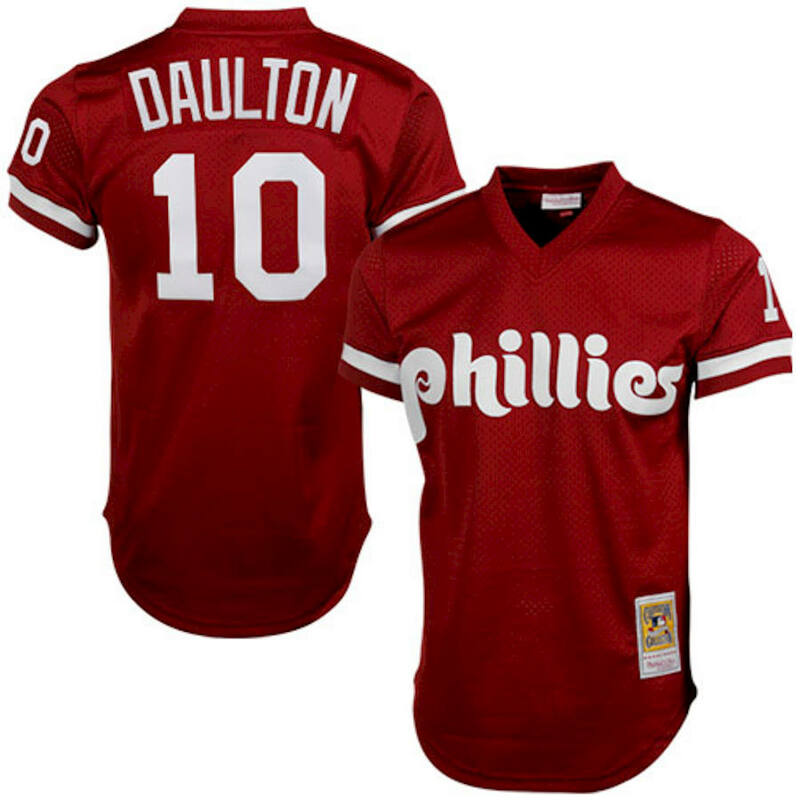 If you are true fan, you have to rock a jersey, but not just any jersey, a classic throw back to one of the Philly’s most loved baseball players, Darren Daulton. Everyone is going to have a Harper, Ruiz, or Howard jersey, but not you. You’re man of the classics. The times when you watched the Phils with your dad on a summer night after you two just got in from a nice catch in the back yard. This Batting Practice jersey is perfect for the hot days of summer because its mesh, and short sleeved, meaning breathable and comfy even in the dead heat of the August afternoon games. So rock something different and field the compliments.